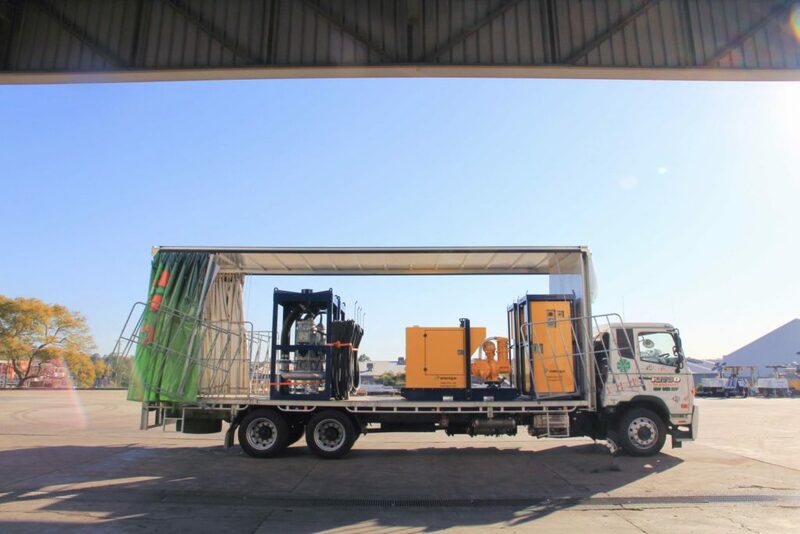 The Megapump trash pumps in Australia are specially designed to effectively pump a wide range of liquids and solids through a range of head and flows. 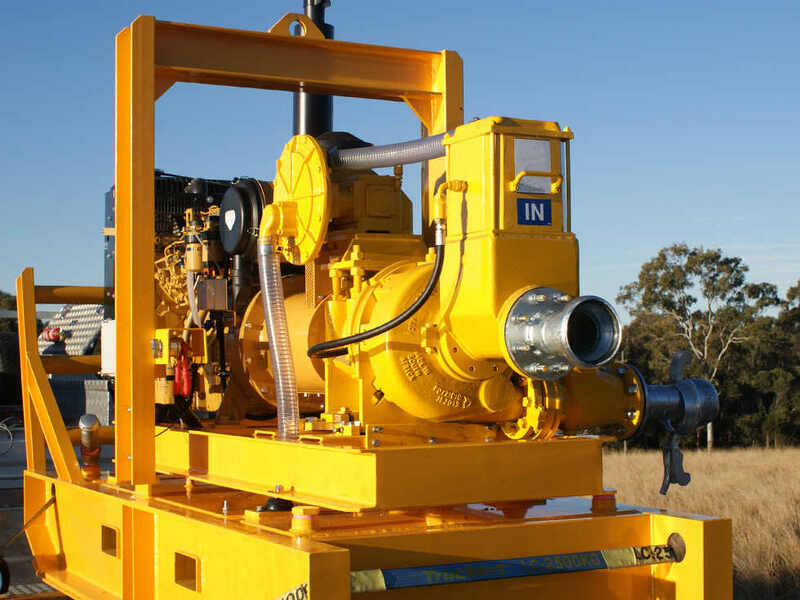 These pumps can be used in liquid transfer, quarry and mine dewatering where liquids pumping with some solid components are required. 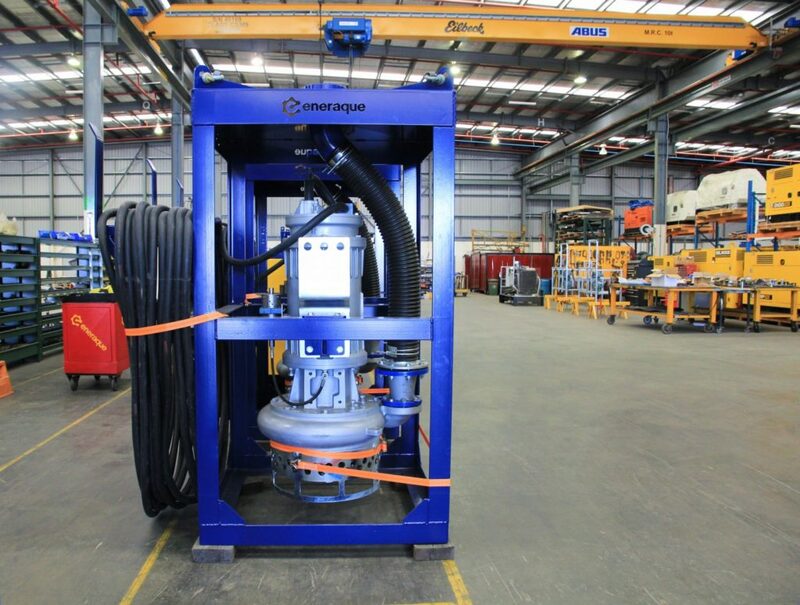 The Megapump trash pump hire & sales range available from Eneraque provides a compact, dependable and highly efficient solution in a completely automatic self-priming pump configuration. 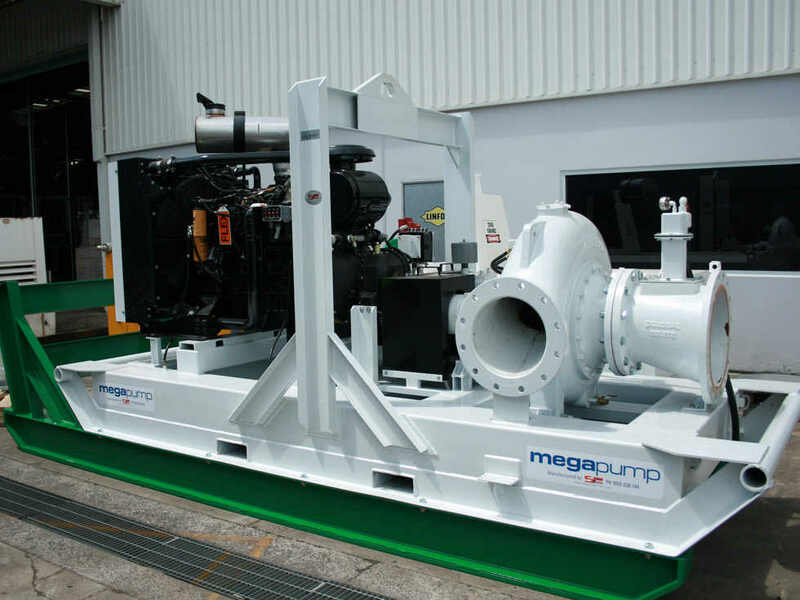 The trash pump series from the Megapump range are a centrifugal trash pump with an automatic priming system which utilises an engine driven compressor; this forces air through a venturi system creating a vacuum on the suction side of the pump end. 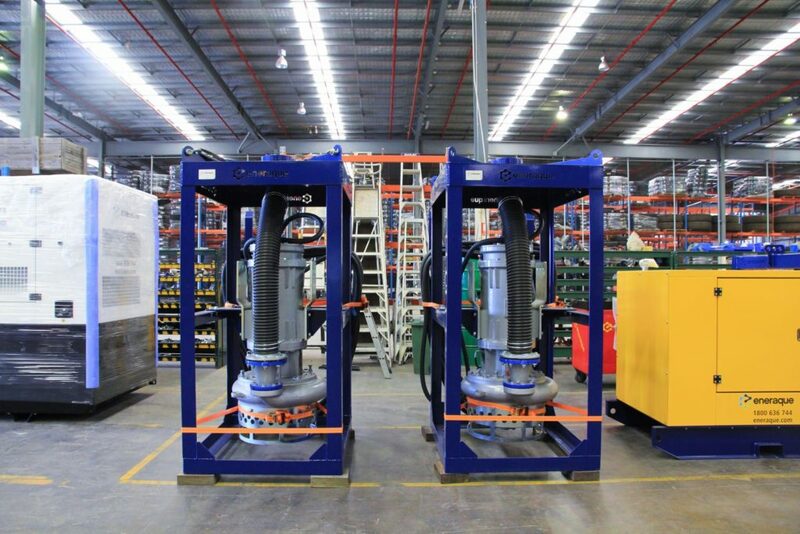 This suction allows for continuous priming and re priming as suction lifts up to 8.5 vertical meters. 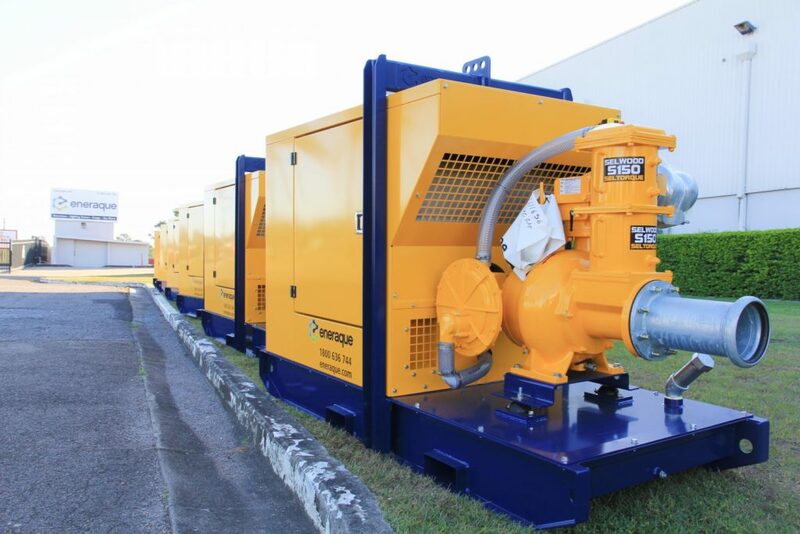 Flow rates up to 474 L/s with heads up to 71m can be achieved with the Megapump trash series. 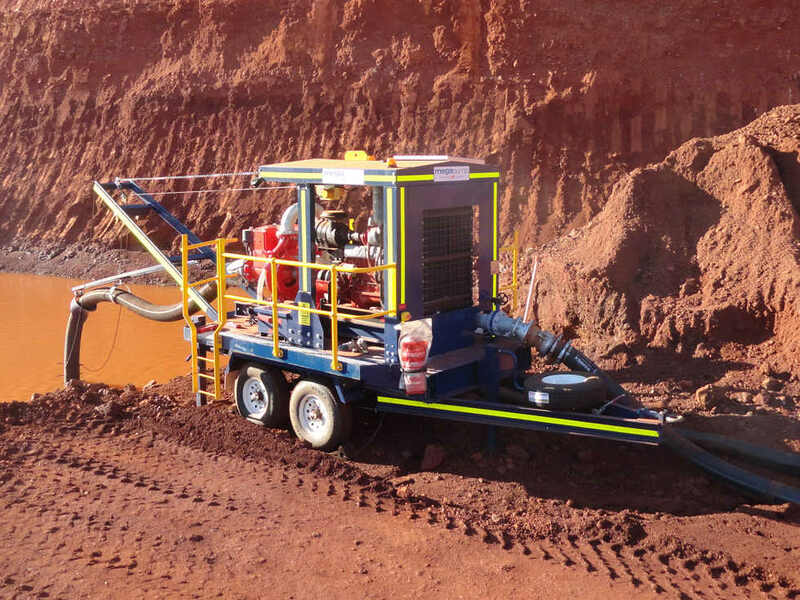 Solids handling capability up to 100m can also be accomplished. 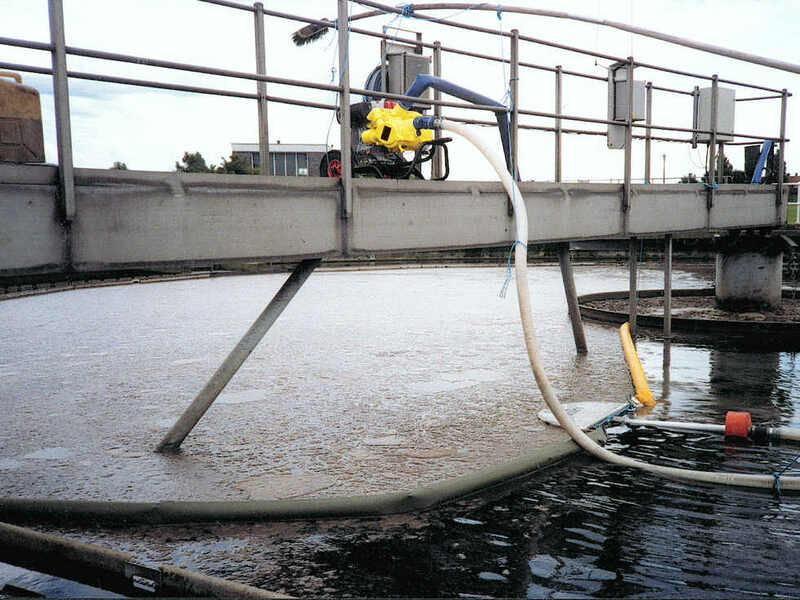 The pumps have the ability to run in applications where intermittent flows are present. Due to the unique glycol system, constant lubrication to the mechanical seal is provided. 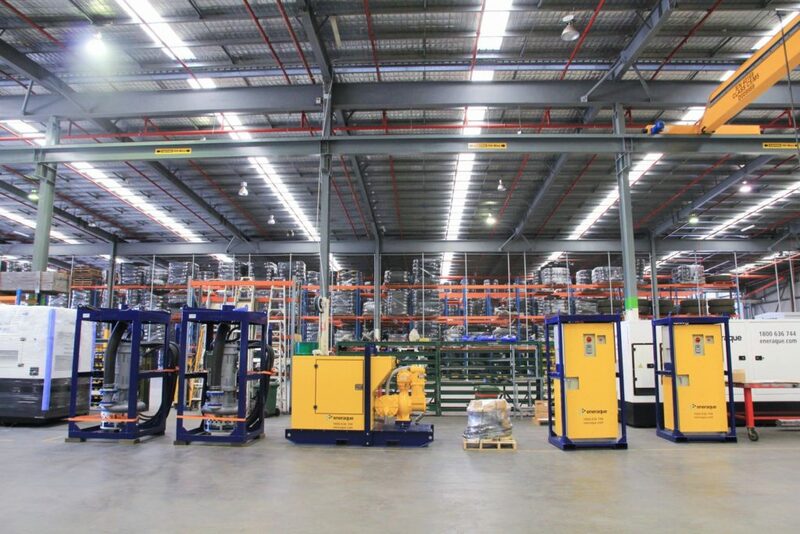 The pump chassis are available in three ranges of skid applications and can also be trailer mounted if required. 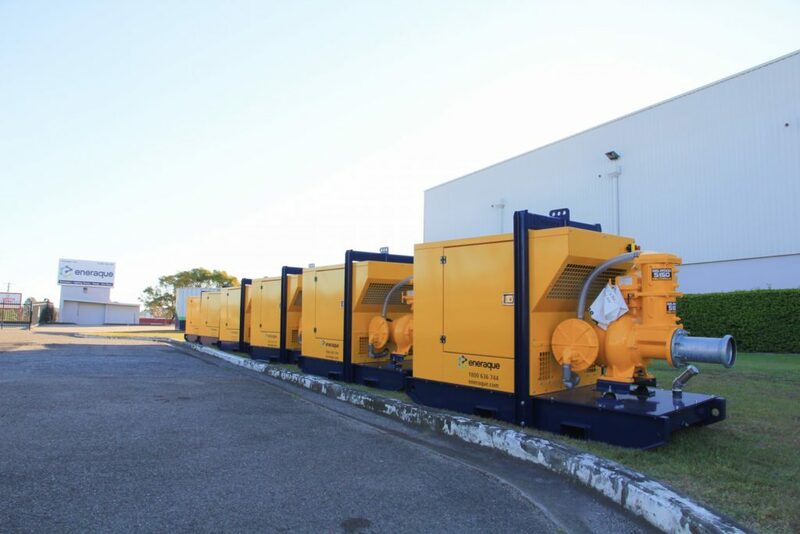 The trash pump hire & sales series also have integrated fuel tanks in the chassis that allow for continuous running up to 24 hours. 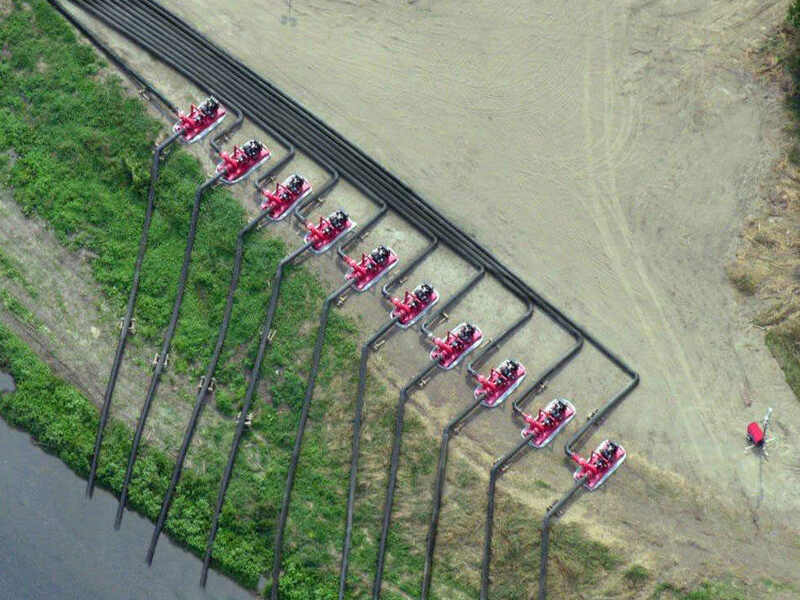 Option to connect to a bulk fuel supply for further extended run times. Pump casings are hydrostatically tested to 50 PSIG above the peak casing design pressure – this ensures long term use with trash capabilities. 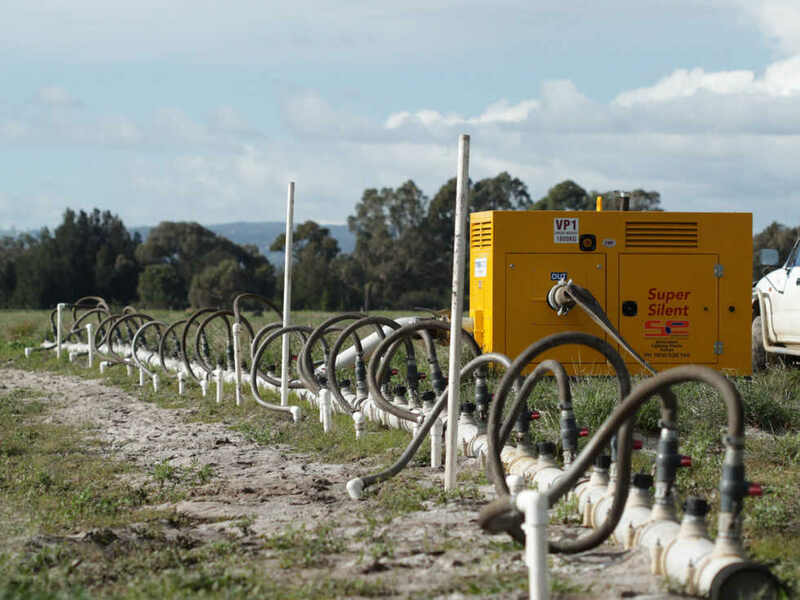 Innovative environmental box captures ventures blow by and returns liquid to pump section. 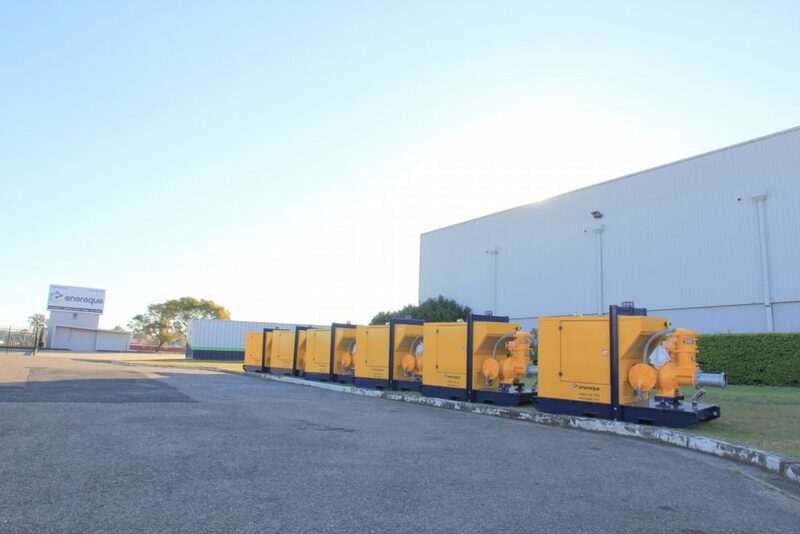 This provides full environmental control and protection. 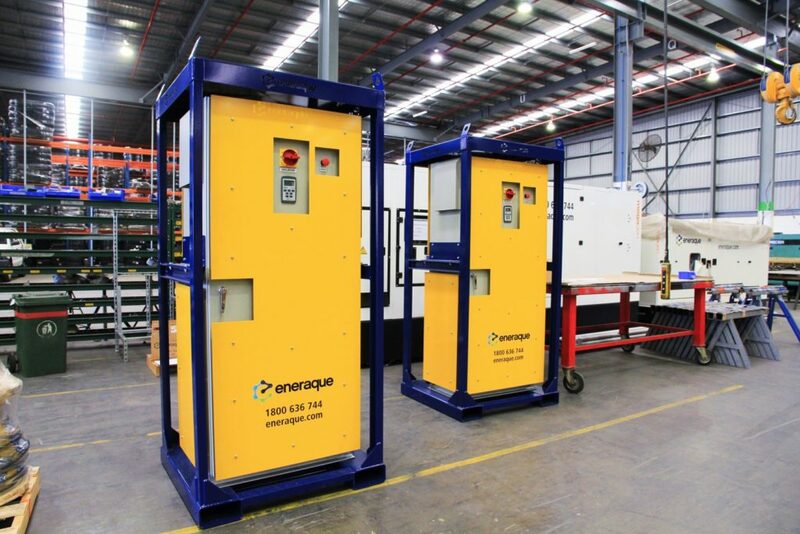 Click here to contact Eneraque today for more information on our trash pumps in Australia or to enquire about implementing one at your work site.